Experience the enchantment of this spectacular ballet in the world-renowned Palace of Fine Arts Theater in San Francisco. Over 150 WSPA performers take the stage in this delightful performance. The cast is young and fearless and the energy they bring on stage will be as majestic as Tchaikovsky's music. Watch the sensitive portrayal of Clara and the gallant young princes. 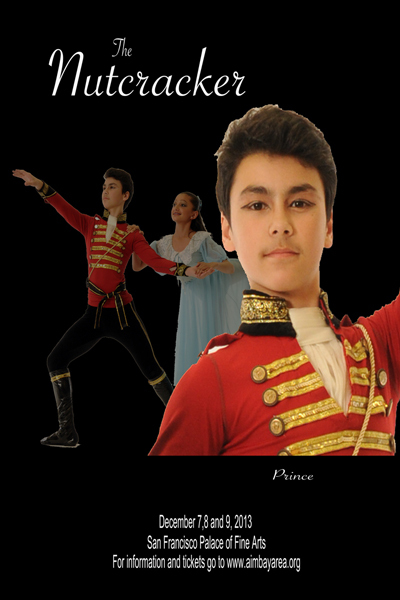 While Andrea Pineda, Mia Fuerte, and Jonacy Montero will be tackling their roles for the first time, Ian Debono, has played the young prince for several years now. Learn a little about the first timer's own journey in dance. My name is Andrea Pineda, and I am 12 years old. I am a 7th grader at St. Veronica Catholic School in South San Francisco. I have been dancing at WSPA since I was 4 years old. I now take ballet and lyrical classes for a total of 15 hours per week. I like both styles of dance, but if I had to pick one favorite, it would be lyrical. In this year's Nutcracker, I will dance the roles of Clara, Snowflake, Rose, and Russian Maiden. During the audition for Clara I felt excited but also nervous. One of my favorite parts in the Nutcracker is "Waltz of the Snowflakes". A role in the Nutcracker that I aspire to doing is "Snow Queen". My inspiration in dance is that I love dancing, and I want to be the best dancer that I can be. The advice I would give other students is to work hard and never give up on your dreams. My name is Mia Fuerte. I am eleven years old. I go to Holy Angels School and I am in 6th Grade. I take ballet with Ms. Tina, Ms. Lauren, and Mr. Viktor. I also take lyrical with Ms. Tina. I dance at least 17 hours a week. My favorite style of dance is contemporary because I can express myself with my body. 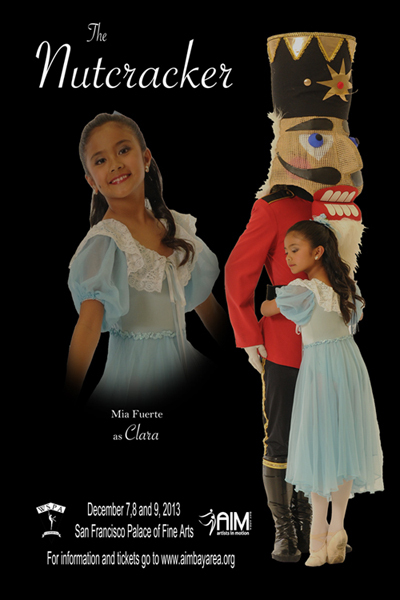 This year I am very thrilled to have the role of Clara in The Nutcracker. During the auditions I was very nervous because it was my first time to audition for any lead role. When I found out that I got the role of Clara, I was so overwhelmed. I was not expecting something this big. Getting the role of Clara made me realize that anything is possible if you trust yourself and work hard. When I am not performing as Clara, I am part of the Russian Dance and Waltz of the Flowers as a Geranium. In the future I would like to see myself as a Butterfly or the Chinese Lead, perhaps even Princess Flora and Sugar Plum Fairy. I am inspired by my fellow dancers because of their hard work and dedication to dance. My advice to other dancers is to not be afraid to try something that looks scary and to never doubt themselves. 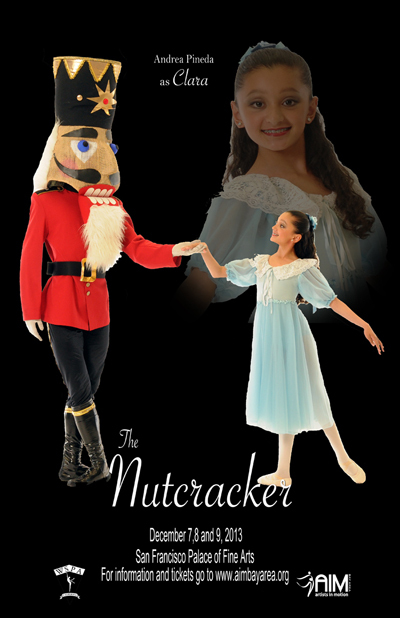 I can't wait to perform in this year's Nutcracker! It will be one of the most important performances of my life. My name is Jonacy Montero and I am 11 years old. I am home-schooled and am in the 6th grade. I take many types of dance at WSPA and dance over 15 hours a week. I take classes in ballet, tap, jazz, Polynesian, and musical theater. I don't really have a favorite style of dance - I love them all! 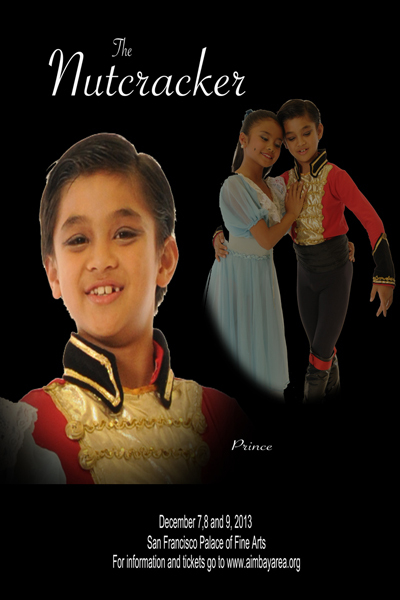 This year, I will be the Young Prince in the Nutcracker. I am also a child in the Party Scene, a tapping soldier, and a Russian boy. During the auditions, I felt a little nervous, but also excited that I might have the chance to play the role of Prince. Ever since I was in my first Party Scene 7 years ago, I wanted to become the Prince. I'm finally getting to do it. My next goal it to someday be the Cavalier in our production of the Nutcracker. My sister, Jonalyn, has always been my inspiration in dance. I wouldn't have started dancing at all if it wasn't for her. She always encourages me to do my best and I admire how much hard work and effort she puts into her dancing. I'm glad I have a sibling to share my love of dance with. My advice to other students is to always work hard, but to always remember to have fun when you're dancing on stage. Also, I think all boys should try some kind of dance - it's a great sport that's a lot of fun and keeps you healthy and fit!